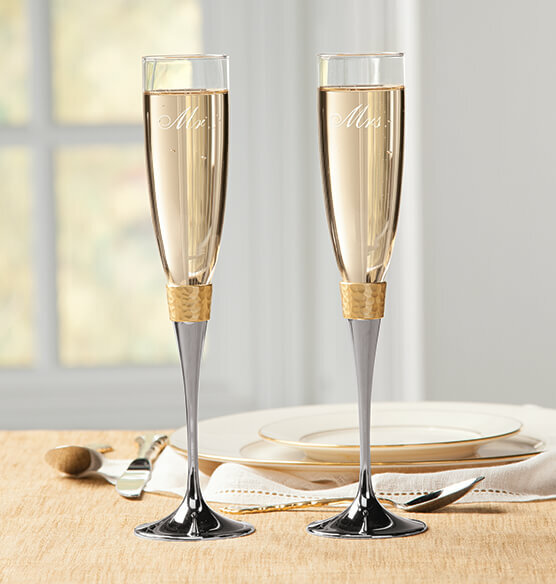 Make their first toast even more memorable with this stunning personalized brushed hammered gold toasting flute set. 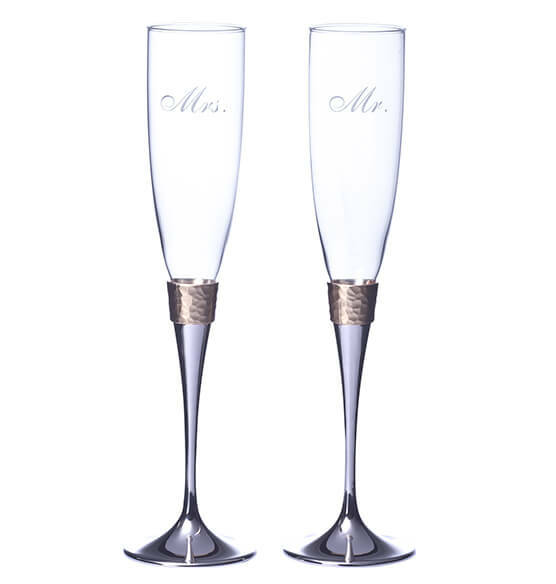 Designed with contemporary elegance, the wedding champagne flutes are destined to be a future family heirloom. A wide gold color hammered metal band separates the glass bowls from the polished nickel plated metal stems. The richness of the gold tones complements the silvery tone of the stems, and both highlight the rising bubbles in the clear glass bowls. The set comes packaged in a lovely cloth lined silver box that makes for a beautiful gift presentation, as well as a place to safely store the set between uses. Holds up to 5 oz.